It’s not often I get to work on a show poster that’s this much fun. Usually I’m just trying to cram text around an edited cast photo. I had a lot of fun putting this one together. 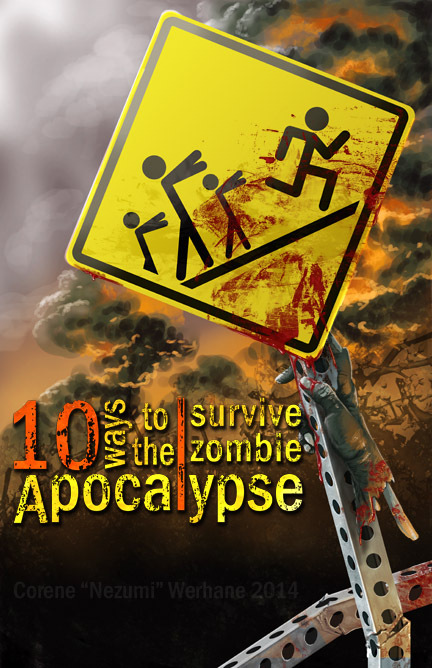 Theatrical show poster for the TMI – The Episcopal School of Texas’ fall 2014 production of 10 Ways to Survive the Zombie Apocalypse by Don Zolidis.